[SatNews] The next DigitalGlobe remote sensing satellite will be built by Ball Aerospace. The company previously built the trio of DigitalGlobe satellites currently on orbit, including QuickBird launched in 2001, WorldView-1 launched in 2007, and WorldView-2 launched in 2009. WorldView-3, anticipated to launch in 2014, will expand DigitalGlobe’s orbiting constellation to four remote-sensing satellites. Ball Aerospace will provide the BCP 5000 for WorldView-3, integrate the remote-sensing instrument onto the spacecraft bus, and perform all system testing. The BCP 5000's power, stability, agility, and data storage and transmission capability, together meet the requirements to deliver comprehensive Earth remote-sensing information. The advanced Control Moment Gyroscopes provided for all the WorldView satellites afford the flexibility and agility to capture more imagery than ever before. 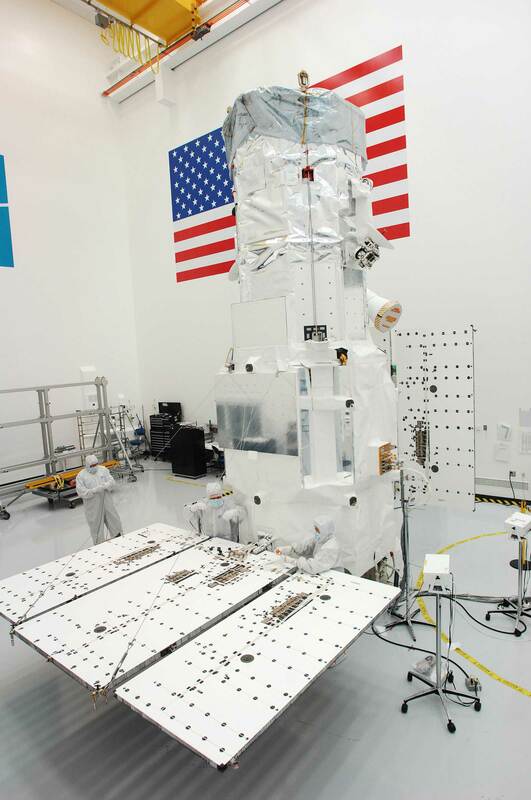 Technological innovations allow Ball Aerospace to apply select capabilities of classified spacecraft systems to its commercial imagery projects like WorldView-3, resulting in cost savings, risk reduction, and faster delivery for its customers. ITT Corporation will build the imaging system for the WorldView-3 satellite.